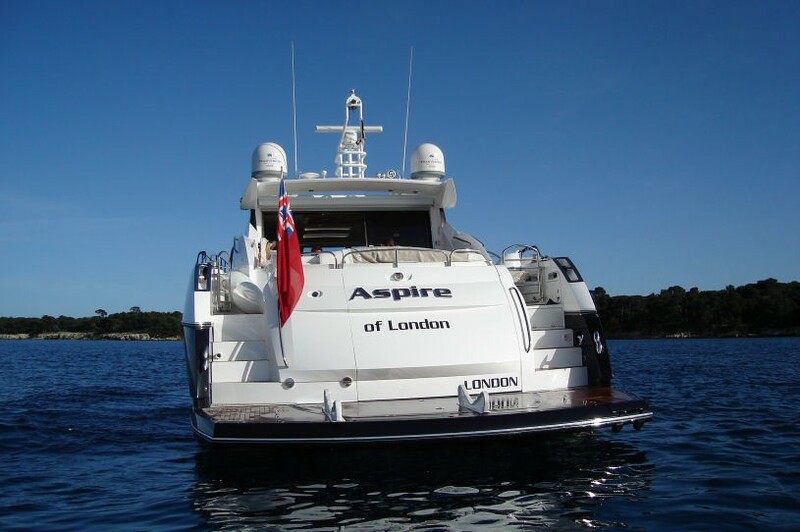 ASPIRE OF LONDON is beautifully presented inside and out exuding style and grace. 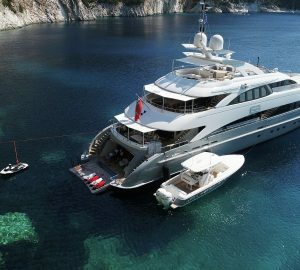 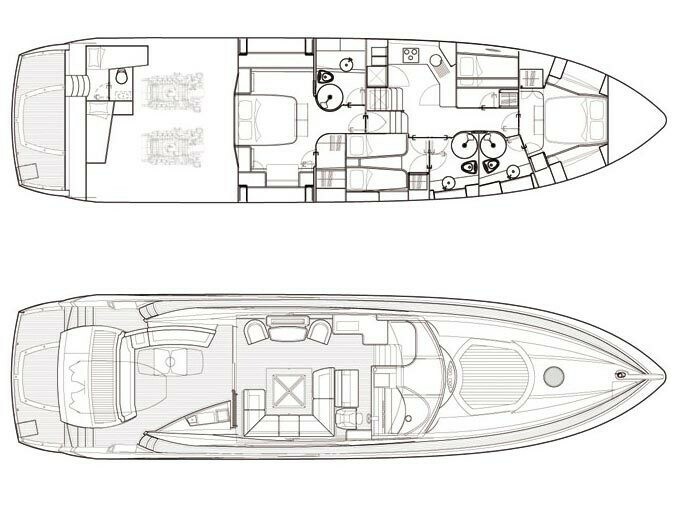 With an overall length of 73ft and a beam of nearly 18ft, this impressive yacht provides the highest level of comfort at all times. 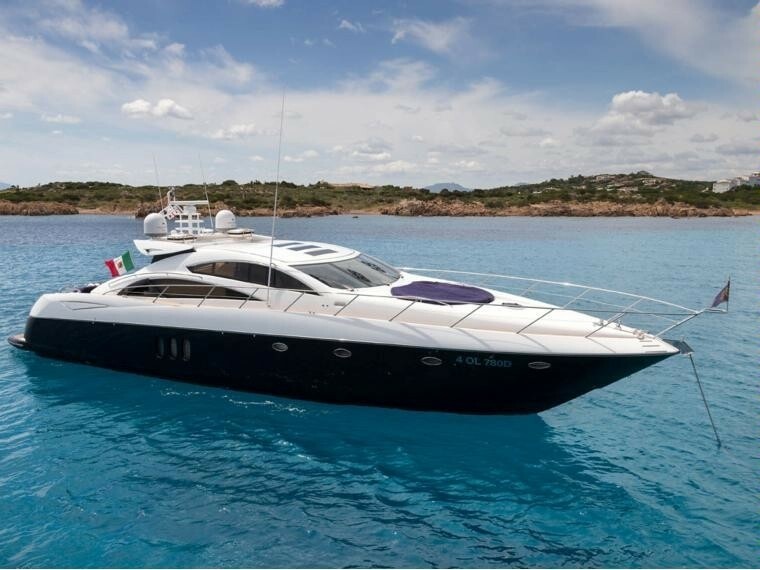 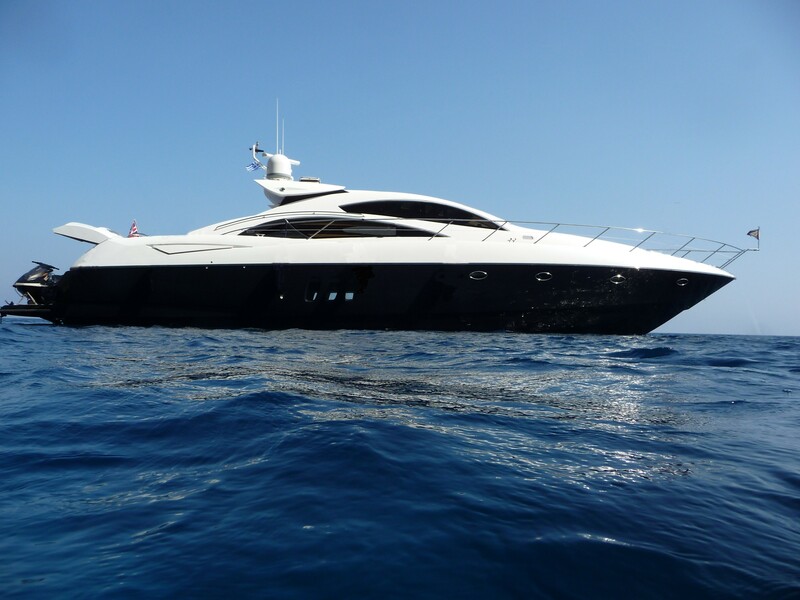 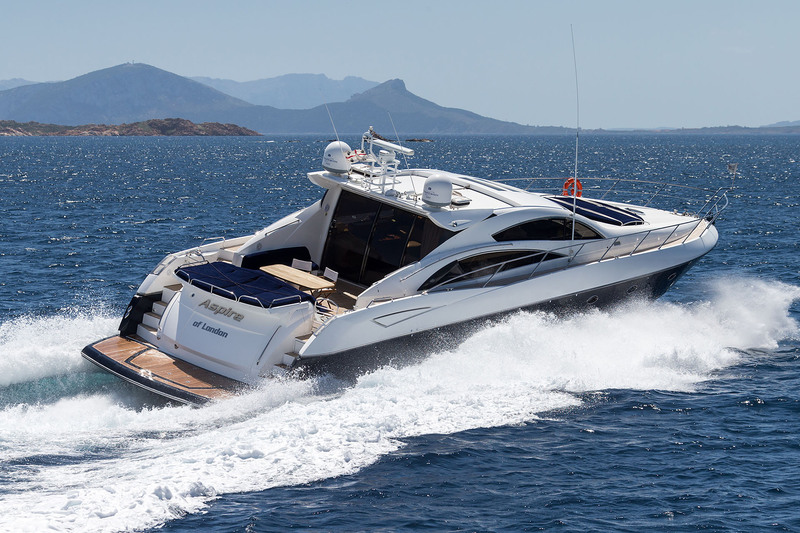 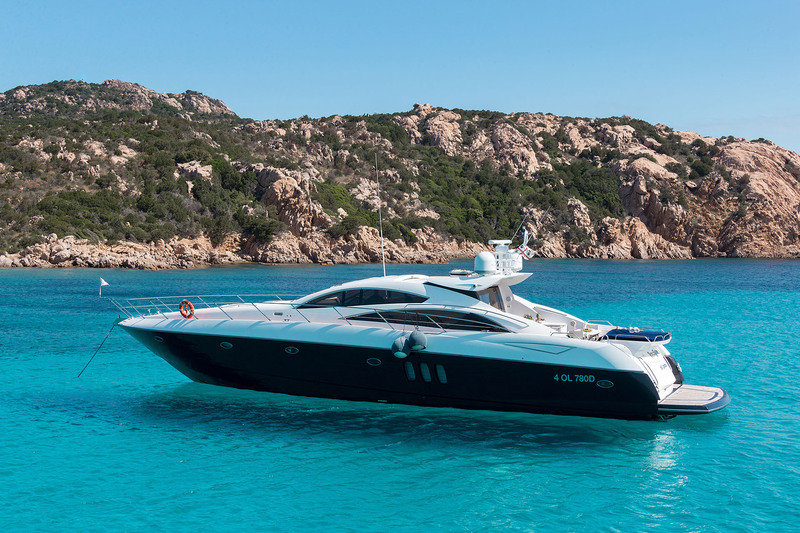 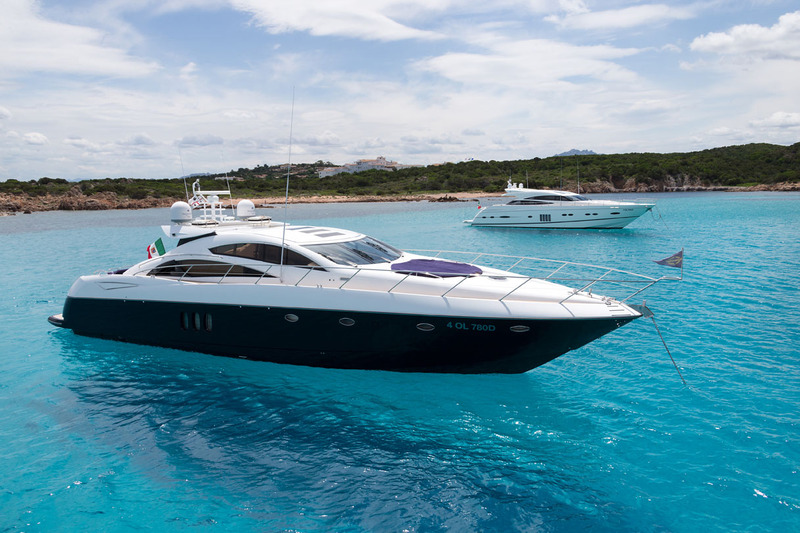 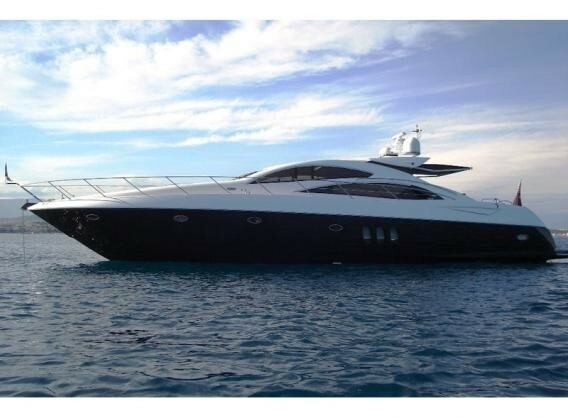 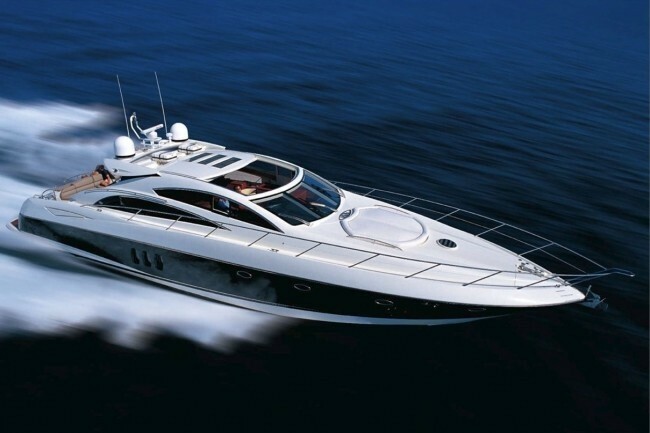 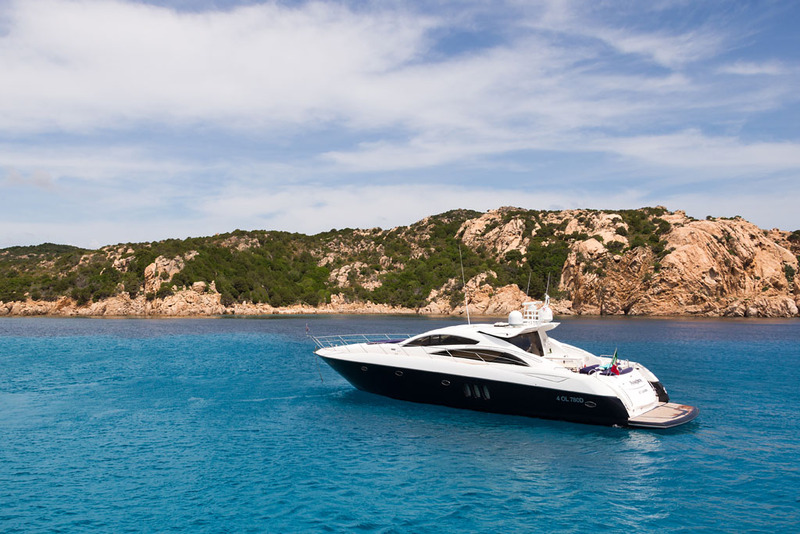 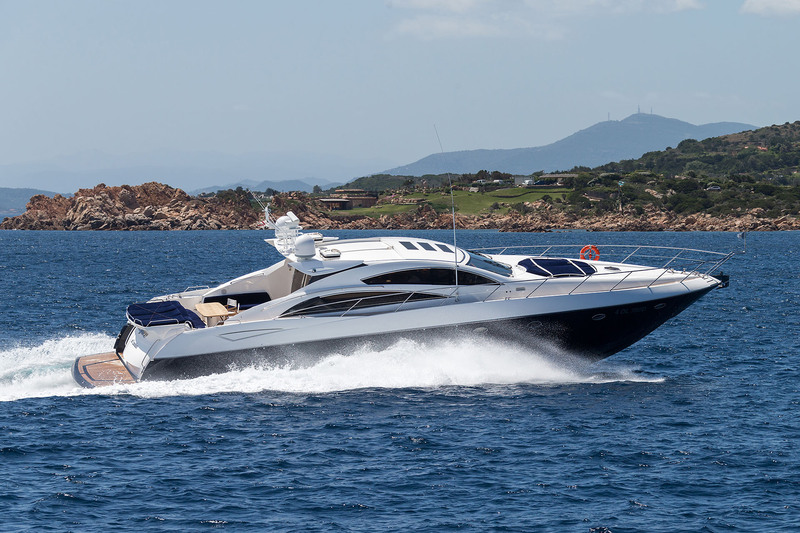 Motor yacht ASPIRE OF LONDON has a sleek profile and high performance twin MAN engines enabling her to cruise at 23knots with a top speed of 33knots. 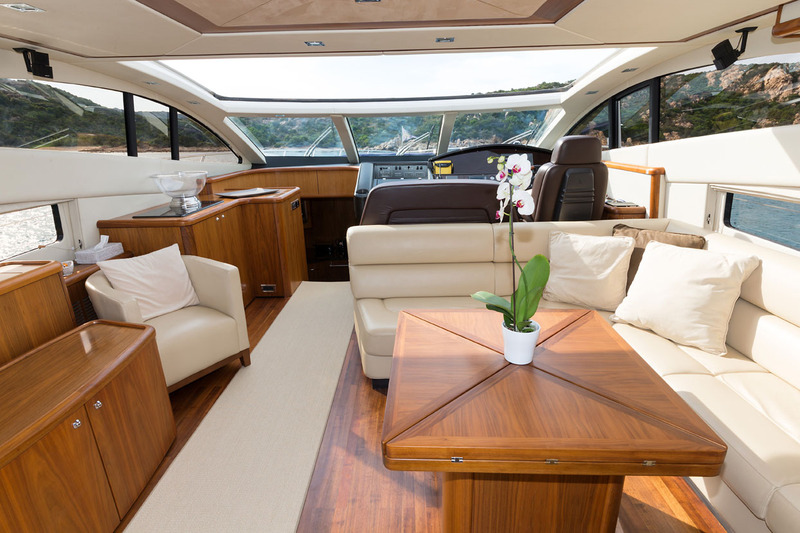 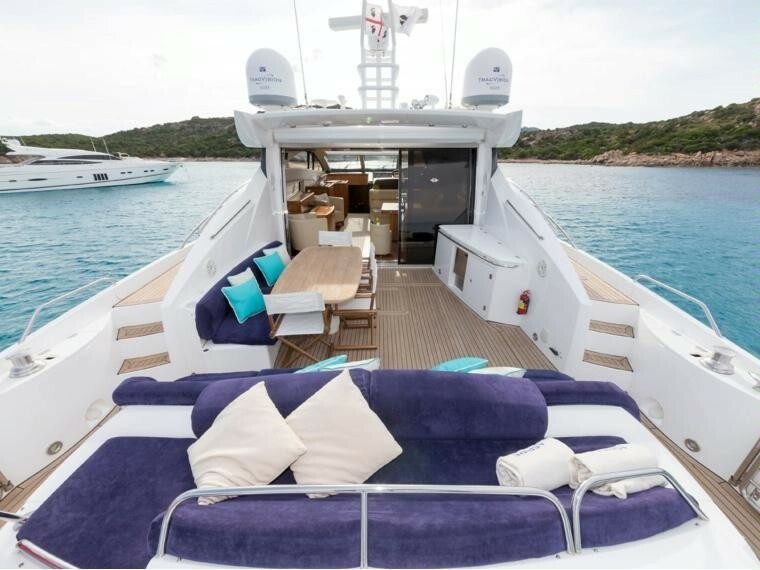 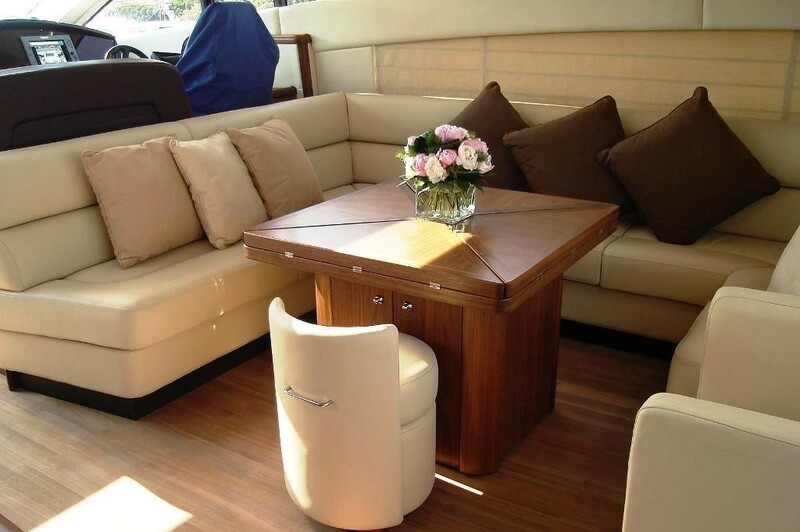 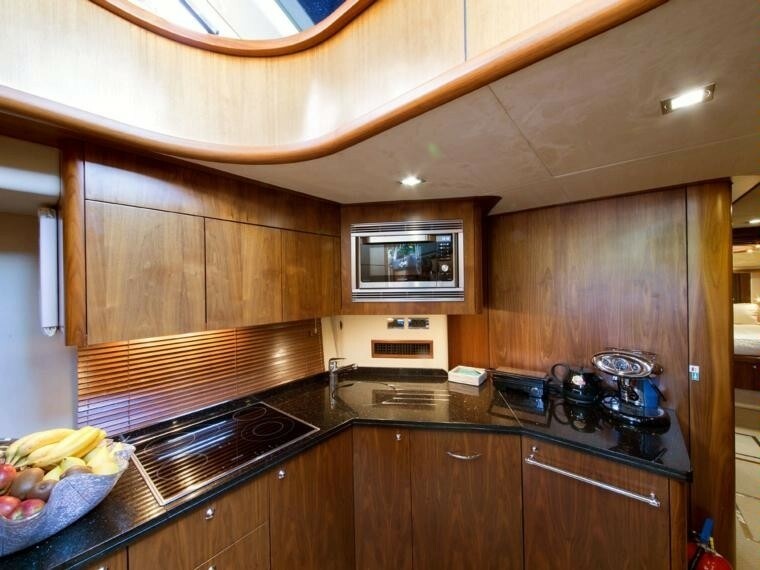 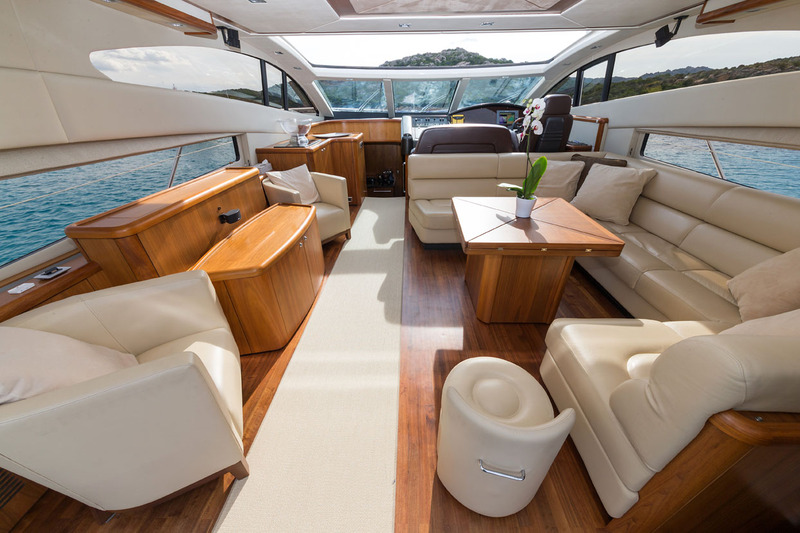 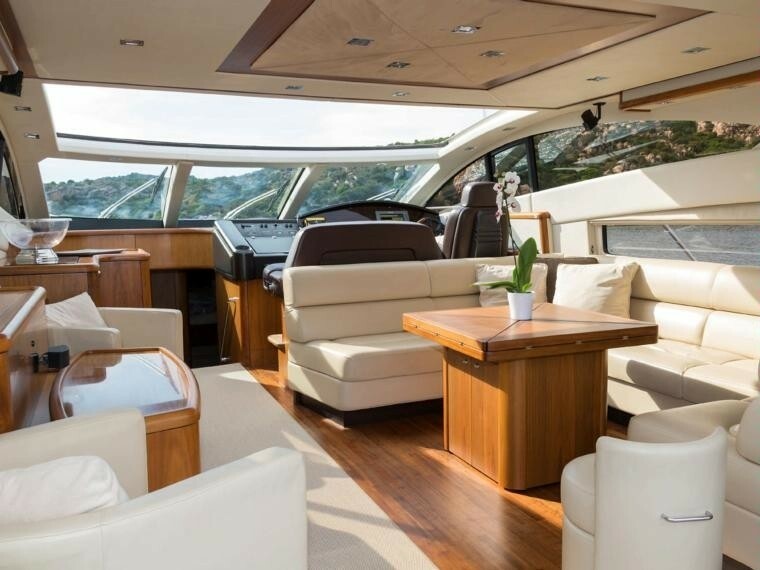 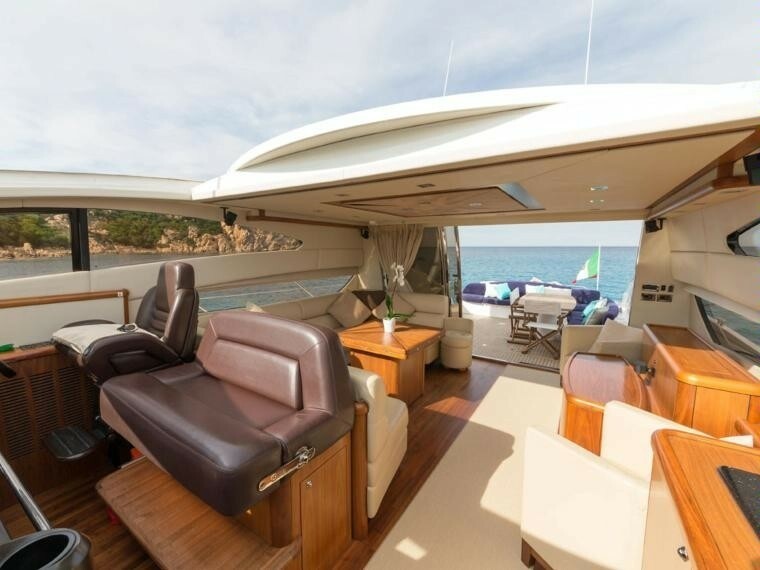 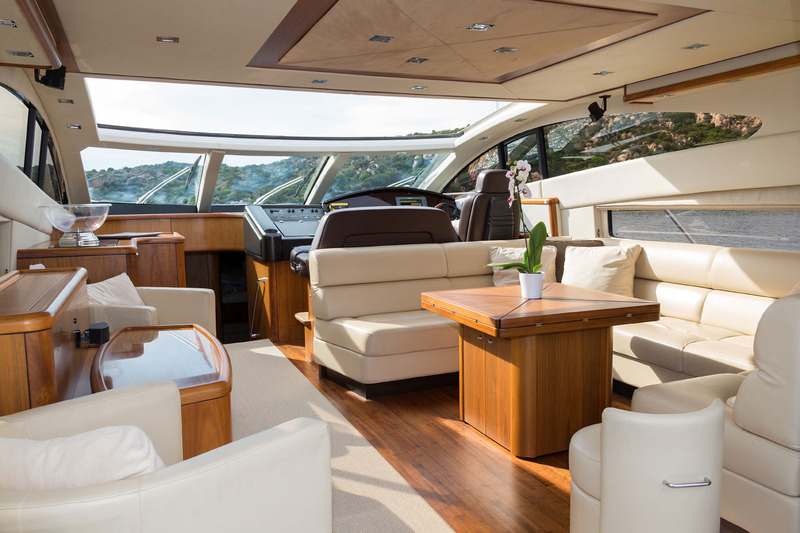 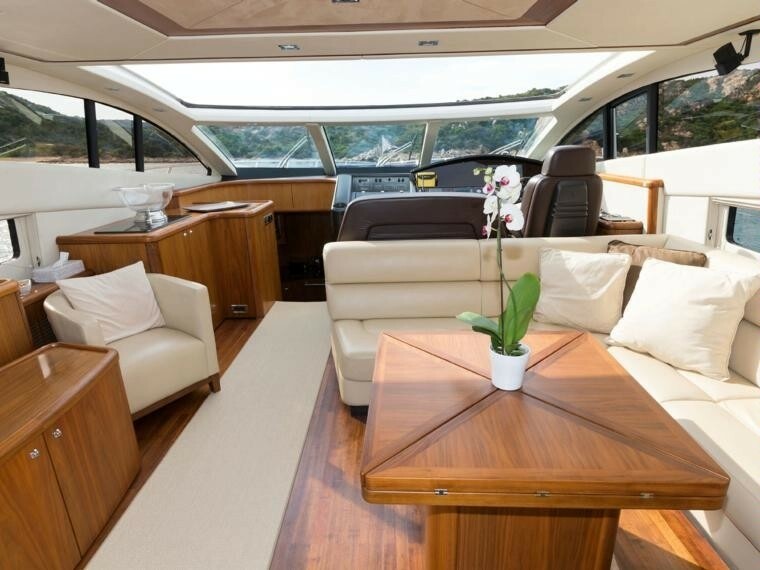 Aspire of London’s main deck has an impressive helm station with automatic sunroof, behind is a large seating and dining area with a bar, ideal for relaxing in air-conditioned comfort. 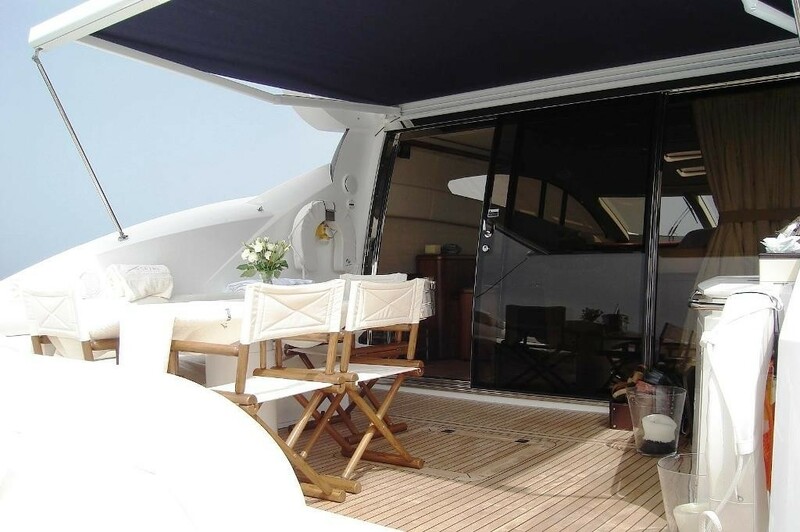 Large stainless steel framed patio doors open on to the expansive aft deck with a dining table, upholstered seating and wet bar ideal for al-fresco entertaining. 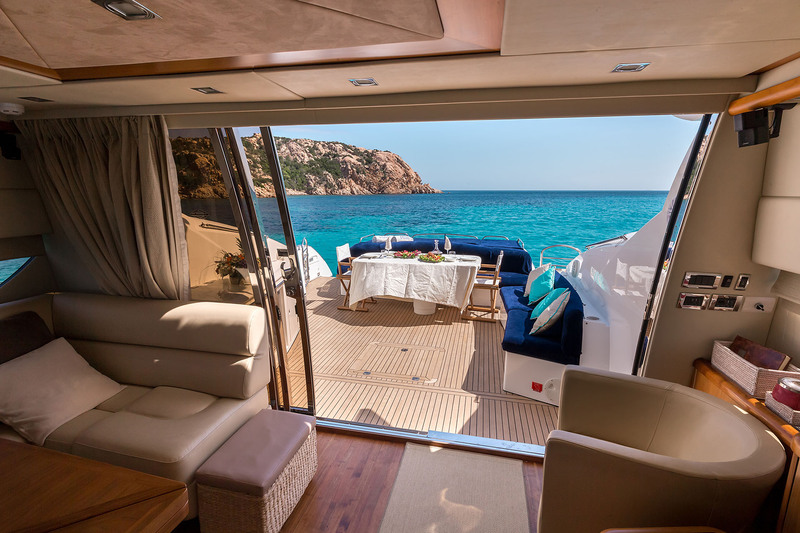 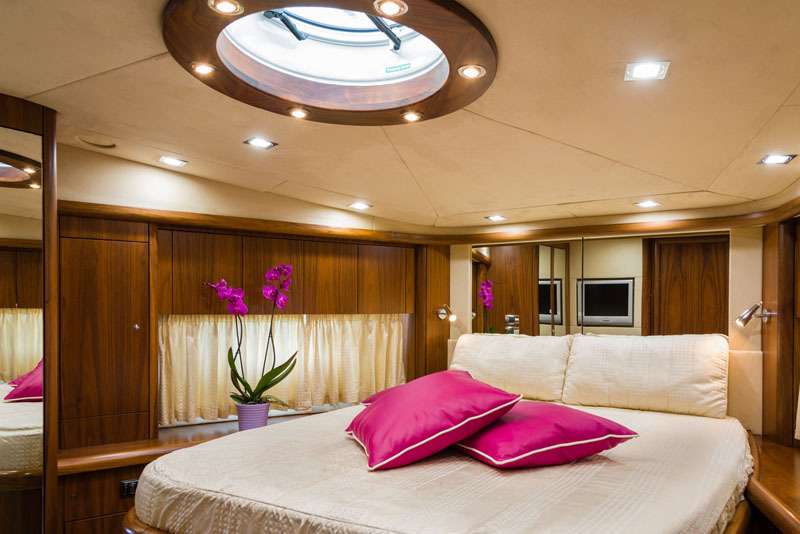 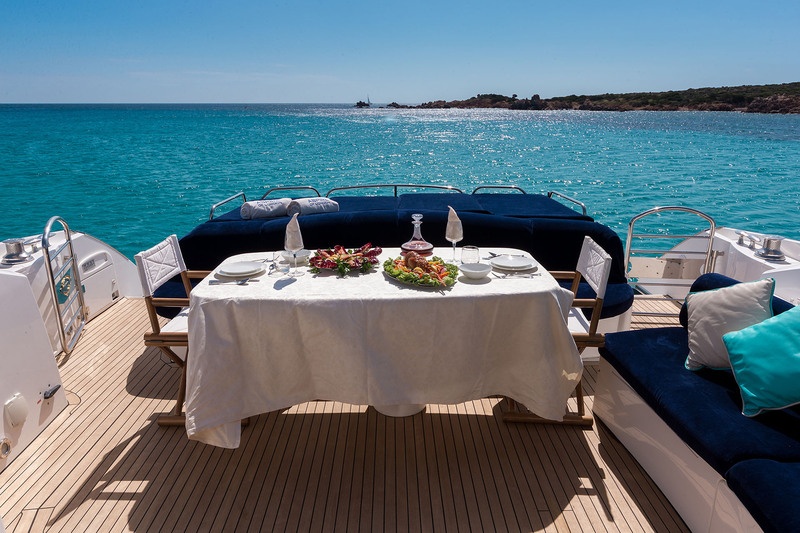 Both the aft sunbathing area and the large sun pads on the foredeck provide the perfect spot for sunlovers and for admiring the view. 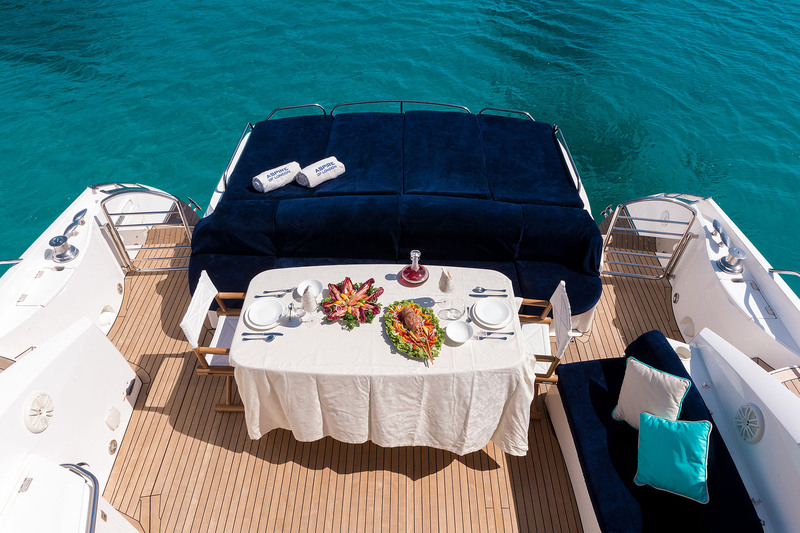 The Hydraulic lifting bathing platform creates the perfect area to host the day’s water sports with an extensive array of water toys. 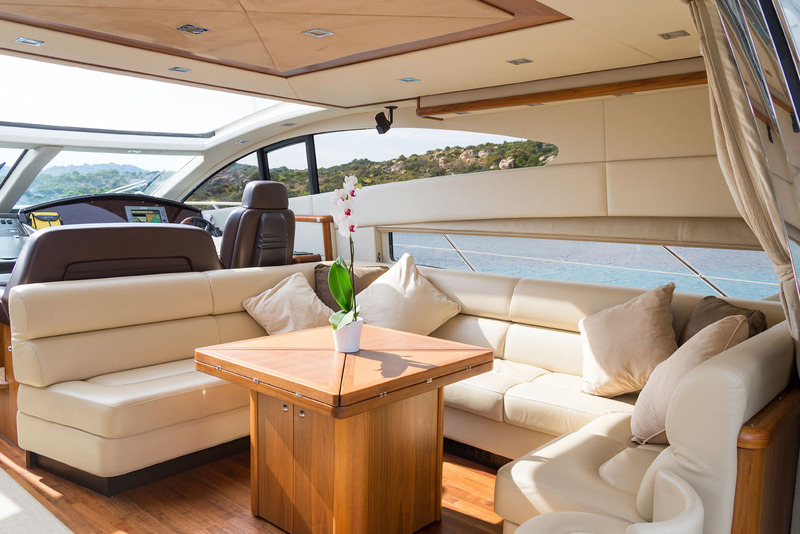 (listed below) Whether you would prefer a relaxing cruise with cocktail in hand or an exhilarating ride while skimming the waves ASPIRE OF LONDON offers the best of both worlds. 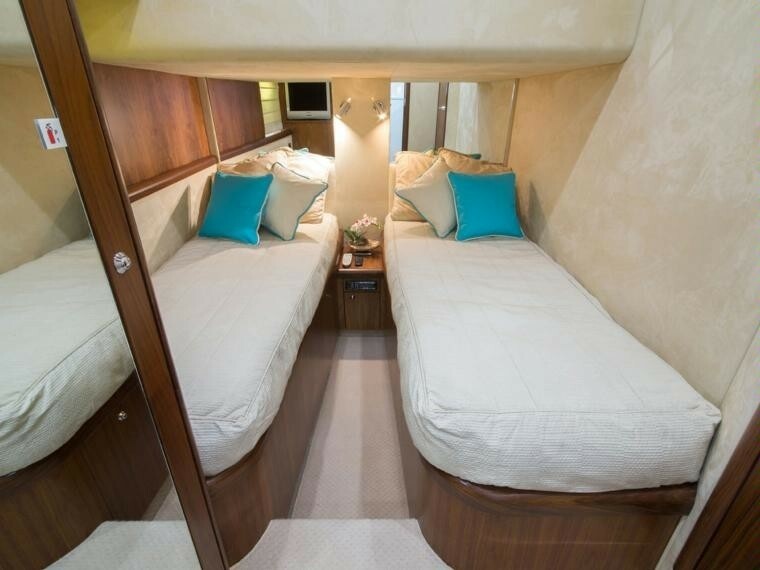 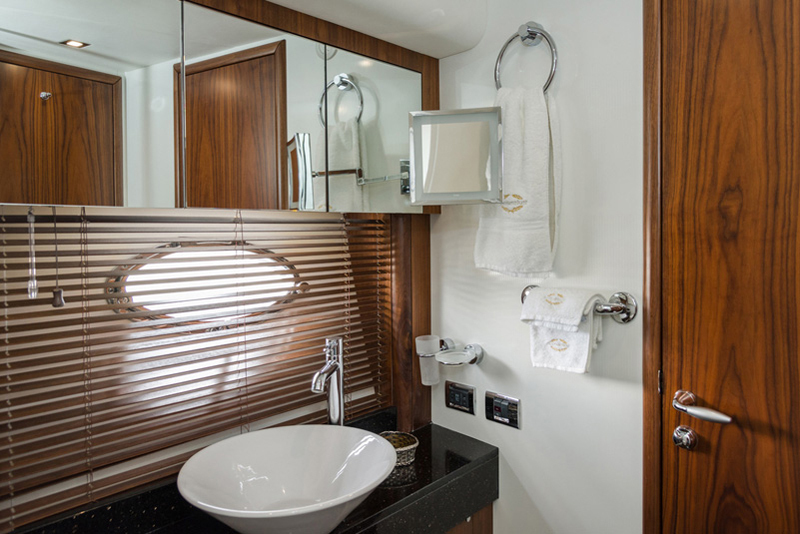 Motor Yacht ASPIRE OF LONDON comfortably accommodates 6-8 guests in 4 cabins including the master cabin (Aft) which is fitted with a double bed (160x200), drawer storage, shelving, vanity unit with school, bedside drawers, walk in wardrobe, safe, 6 window portholes with blinds and an ensuite shower bathroom. 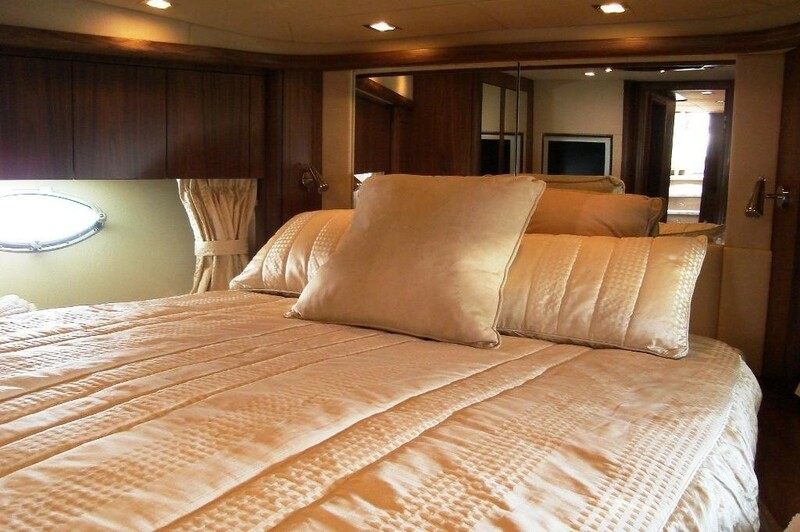 The suite is also equipped with 26’ LCD flat screen TV, CD/DVD player. 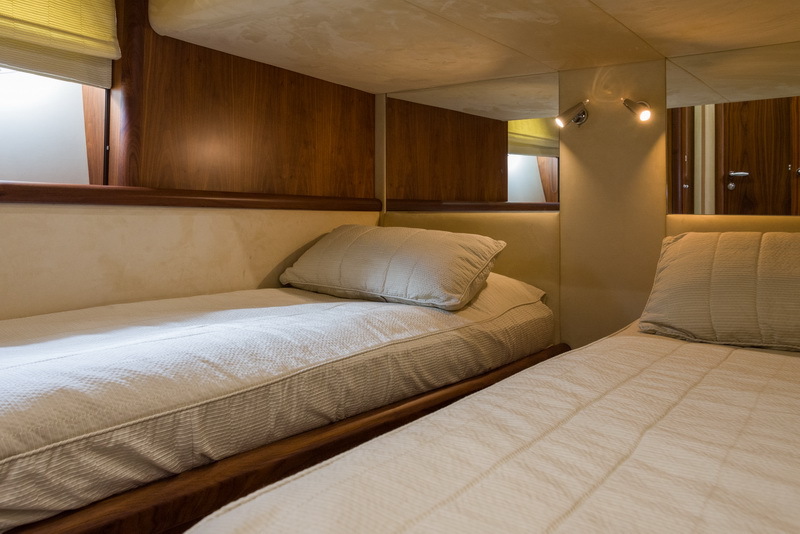 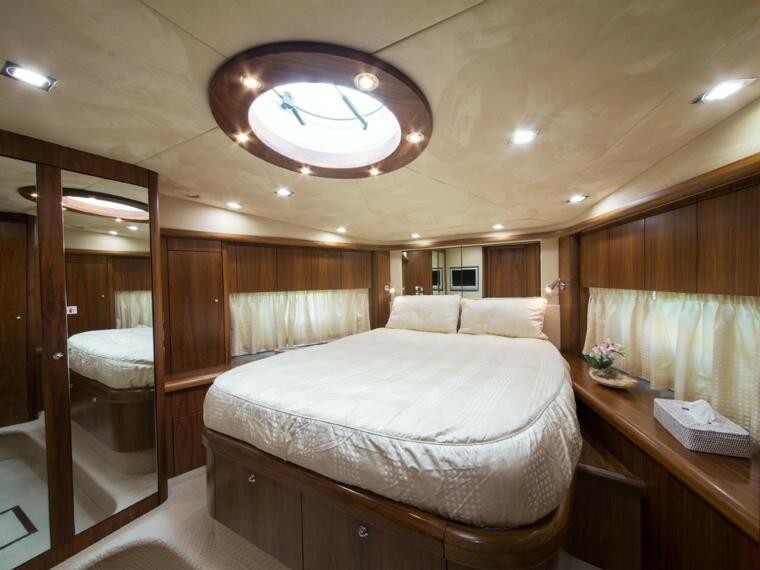 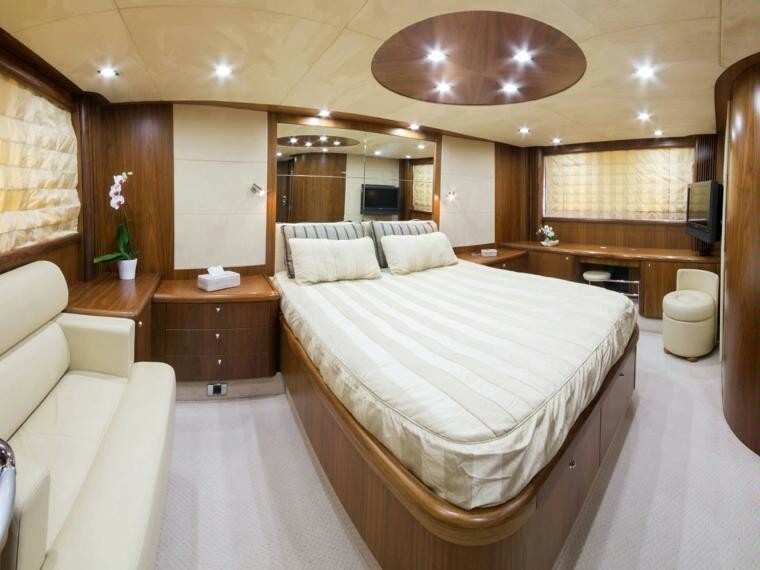 The VIP stateroom (forward) is fitted with a double bed (140x200), storage beneath, drawers in base end, overhead bedside cupboard, hanging wardrobe, 2 port holes with curtains, a ceiling deck hatch and an ensuite shower bathroom. 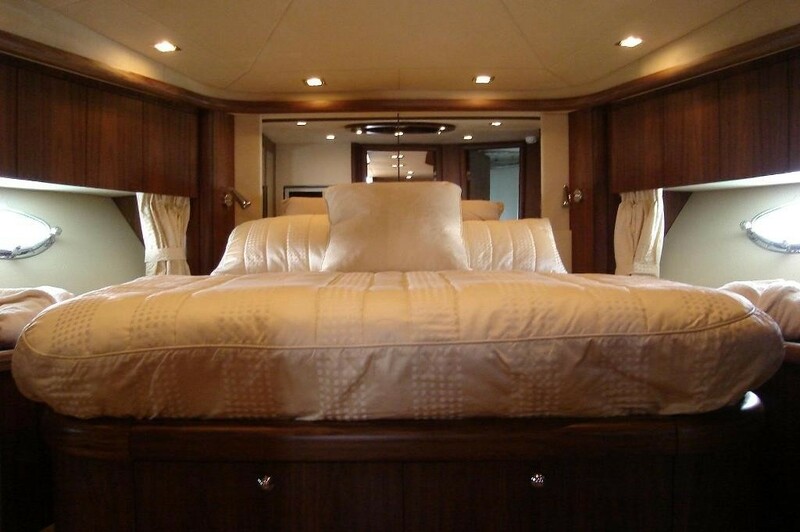 The VIP Suite also has a 20’ LCD flat screen TV, CD/DVD player. 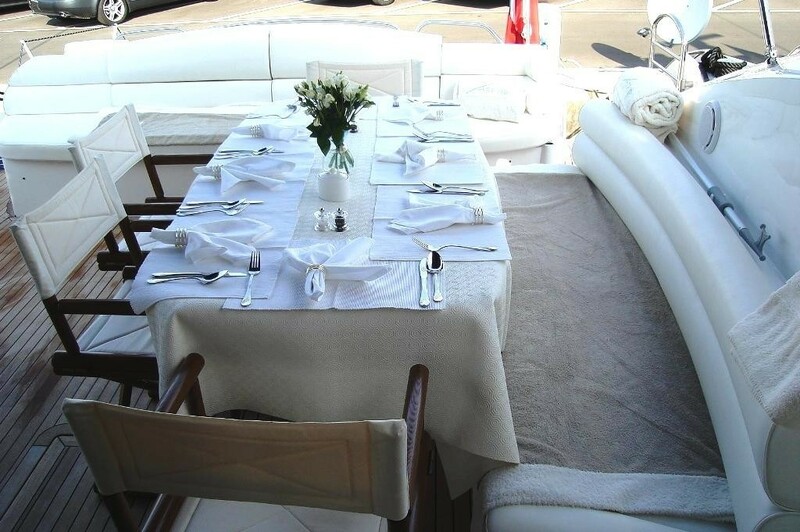 The starboard guest cabin is fitted with 2 single beds (76x200) and a 20” flat screen TV and CD/DVD player. 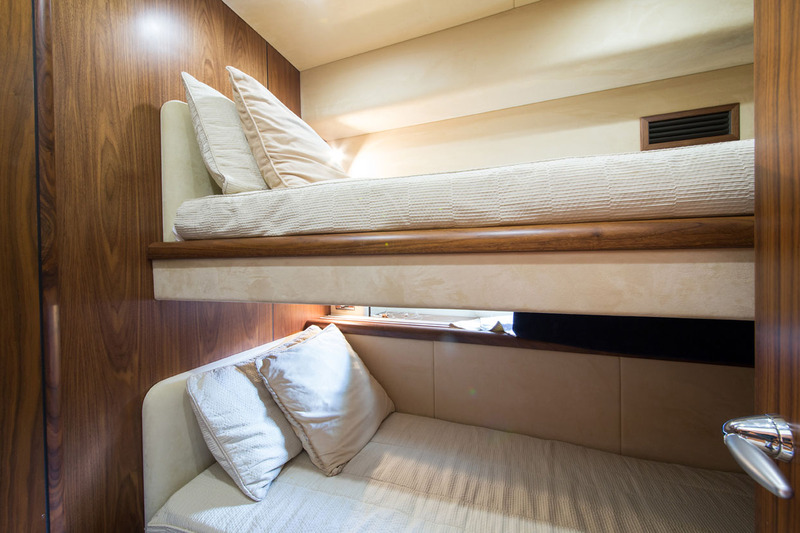 The port guest cabin - most suitable for children - is equipped with 2 single small bunkbeds (76x193) with 20” flat screen TV. 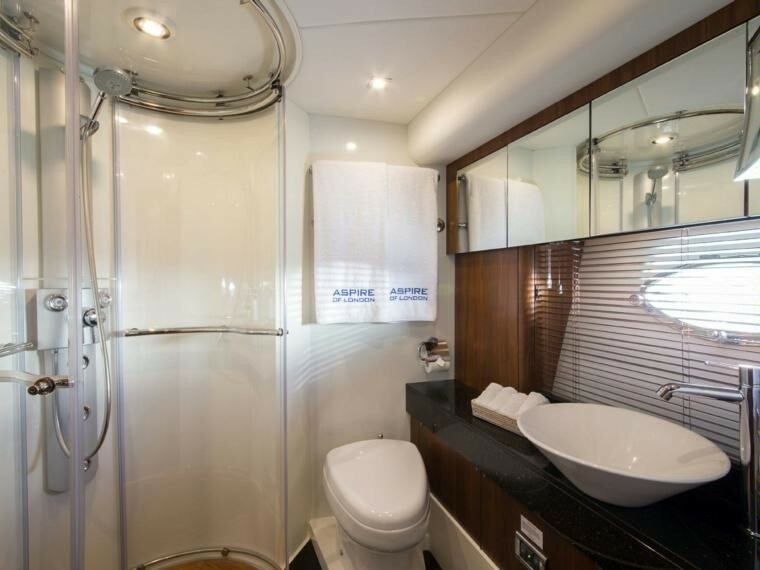 Both twin cabins share the same shower room/dayhead. 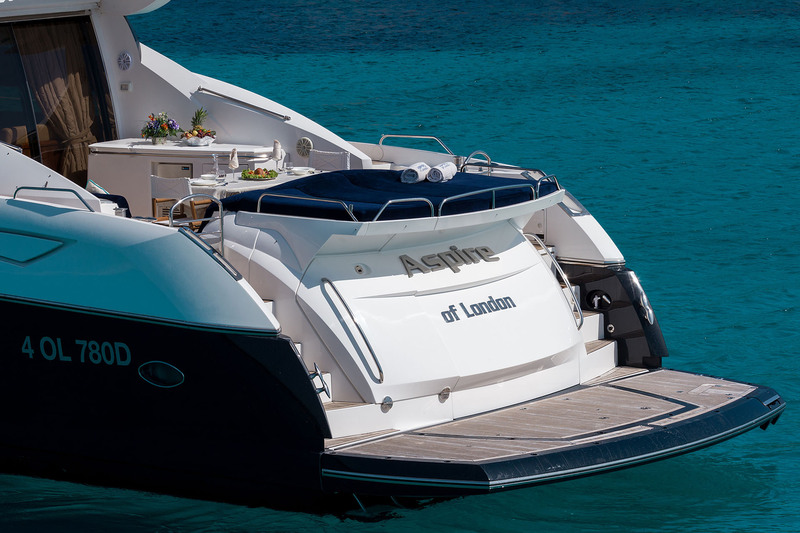 ASPIRE OF LONDON is equipped with a range of Tenders & Toys including a Tender Williams 3.25m, 103 Hp in board water jet, 1 x Sea Biscuit, 3 Places, 1 x Banana, 1 x Pair Adult Water, Skis, 2 x Seadoo Scooters, BBQ on aft deck. 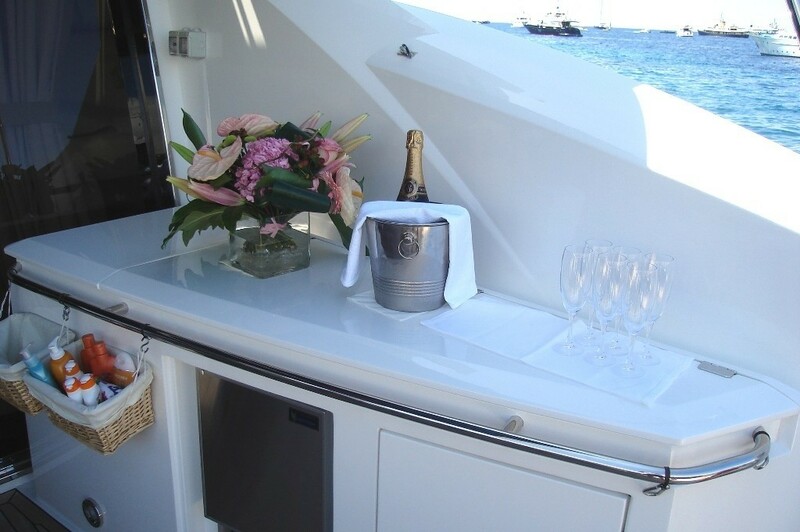 Audio Visual Equipment and Deck Facilities include a Bose Lyfestyle 48 DVD/CD surround system in salon, Sony Brava 40* LCD TV in saloon, SKY Satellite TV to all cabins (linked to saloon) - (as the signal is close to outside edge of reception some channels like ITV1, BBC1 and other may not be received). 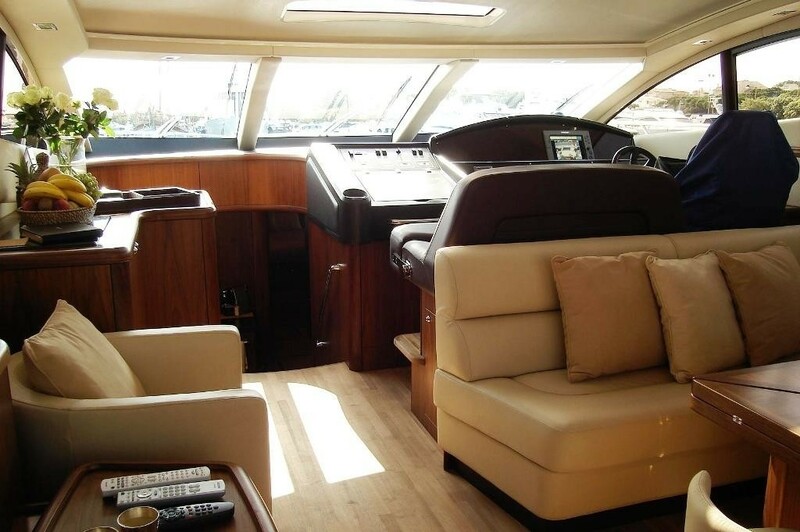 LCD TV's in all cabins, Alpine CD/DVD/Radio recin forward and master cabins, IPOD connection., Good collection of DVD's and a Good collection of CD's.